Happy June, Alliance readers! Time for a new Pick of the Month, and so I went on a hunt for a comic with everything! I think Tall Tails by J.D Calderon & Daphne Lage pretty much fits the bill. 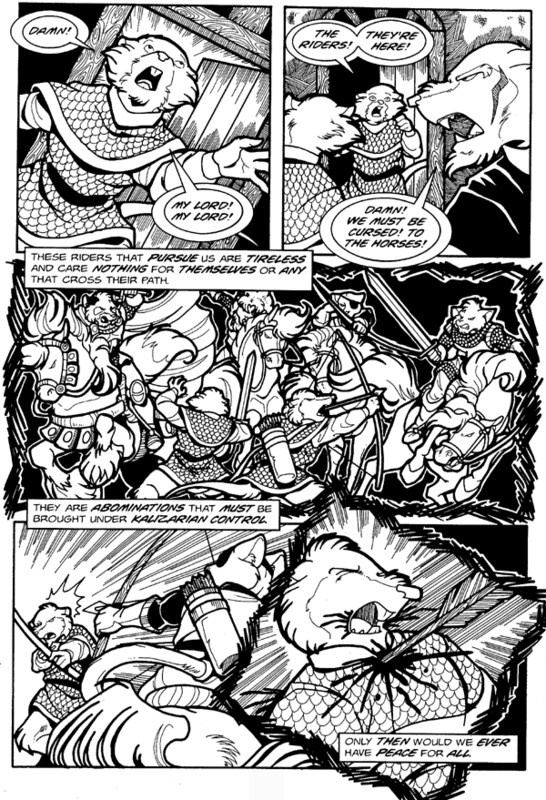 A fantasy & adventure comic, featuring “anthro” characters of all kinds, in a tale of swords & sorcery that will appeal to fans of “Lord of the Rings”. 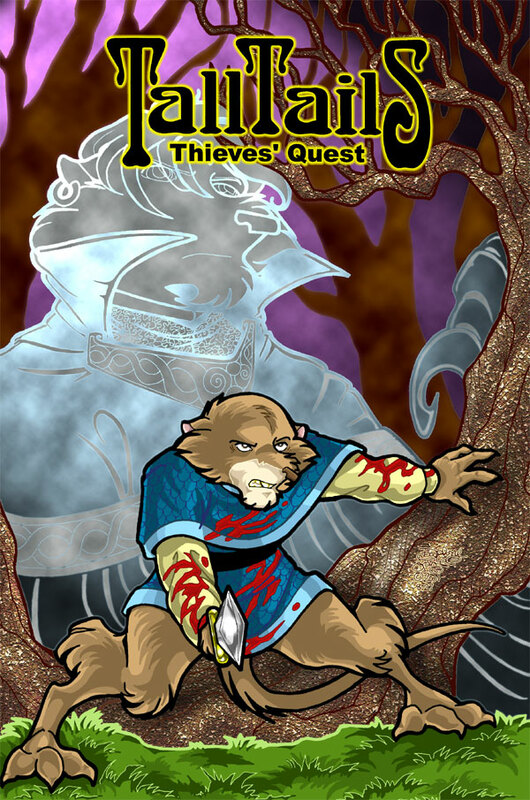 What starts off as a quest to find a stolen ancient artifact- The Great Seal- winds up dragging the main characters into a war between the Trolls and Rats. The adventurers bounce from one quest to another, including the recovery of Christian, the heir to the Lifdell throne… which won’t be easy with so many devious foes looking for both Christian and The Great Seal themselves! Ravenwood: a stubborn and ferocious knight, trigger-happy to jump into battle. As the leader of adventurers on the quest, his loyalty to his friends and the mission are his saving grace. Cromwell Ravenwood: cousin to the leader, and serving as the ying to his yang. Quiet, disciplined, and strategist of the group, Cromwell is also a decorated general. Pandora: longtime adventurer and a tremendous fighter, Pandora is as close as it comes to Ravenwood’s equal, also serving as his conscious. Gabriel: Eldest of the adventurers, yet the newest member. Wise and knowledgeable, he polays the role of the father figure, yet has a quite mysterious past. Silvermain: The youngest, and acts as such. Silvermain is the happy-go-lucky, jokester of the group, learning the ropes yet proving his worth. Klea: The sorceress with healing powers. Raulph: The sorcerer who offsets Klea, with destructive and malicious powers, which very much mimics his own personality. These are just a handful of the characters in the world of Tall Tails, proving just how vast a world Daphna and J.D. have created. For the full list, check out the cast page. Taking one look at the artwork, you can see how detailed and thorough the kingdoms of Lifdell and Kalizar have been structured. A little Middle Earth and a bit Dungeons & Dragons, the reader comes across castles, ships, villages and all the other settings that make up the epic fantasy genre. With so Much to Offer, Tall Tails is BURSTING at the Seams! 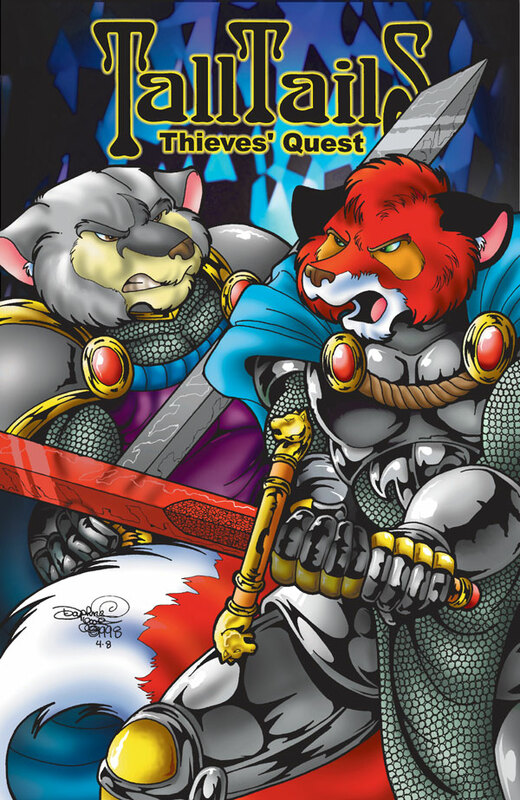 There is truly something for everyone in this comic, be it anthropomorphic adventure, middle earth type fantasy, a touch of romance, epic battles, magic & mystery, or kingdom politics. 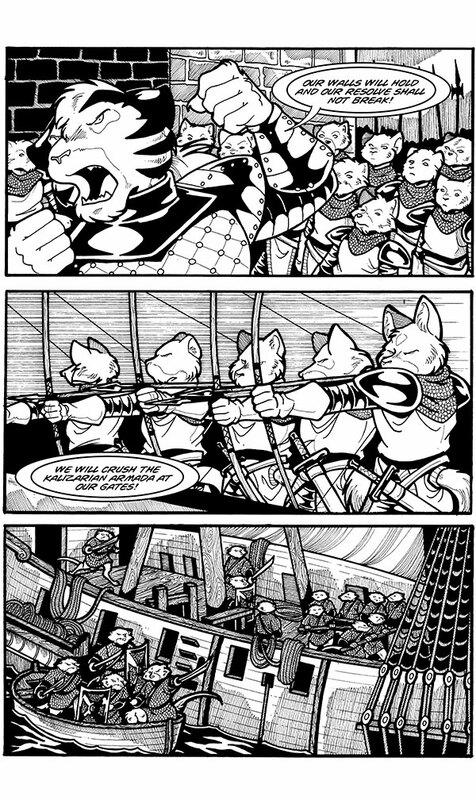 The art is as lush as it gets for black & white lineart, and the characters design blends the anthro-cute with the warrior-toughness. The style reminds me at times of one of my childhood favorites: Secret of NIMH. 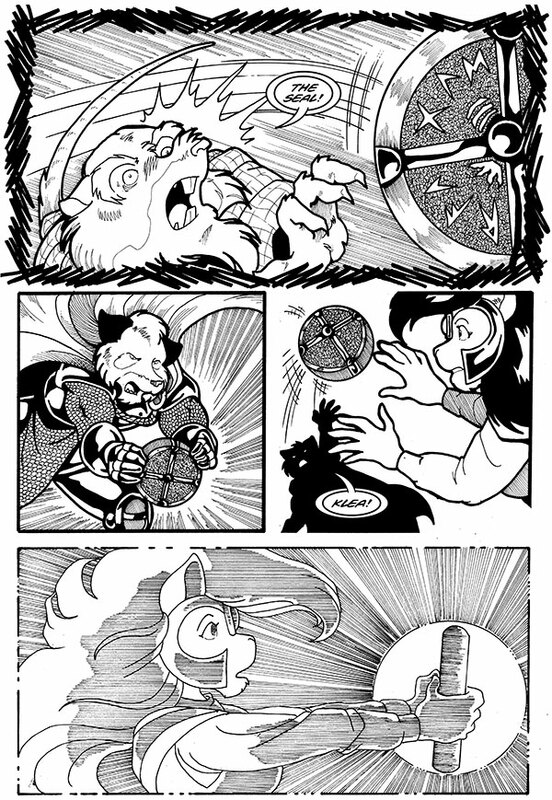 I had the pleasure of meeting Daphne Lage at AwesomeCon this year, and 10+ years of experience with this comic earns her a follow on TWITTER, FACEBOOK, or simply check out the comic HERE. Posted in Featured News, Weekly Pick and tagged anthro, daphne lage, Fantasy, JD Caleron, month, pick, tall tails.